Three weeks after visiting the east coast, 2013 Miss World Megan Young was back in Newark, New Jersey to attend a fundraiser for the survivors of super typhoon Haiyan. Megan was also able to make a guest appearance in the ABC morning show Good Morning America, where she also asked for support for the millions affected by the calamity. Organized by the Philippine Independence Day Council, Inc., the fundraising event was initially meant to raise funds for the orphanage Tuloy and the victims of the earthquake in Cebu. Because of the gravity of the situation brought about by typhoon Haiyan, organizers decided to give one hundred percent of the proceeds to the rehabilitation efforts of the provinces battered by the typhoon. Before the evening’s program closed, the organizers led by PIDCI president Fe Martinez presented a $20,000 check to Miss World organization. Megan (who will visit the ravaged cities of Ormoc and Tacloban upon her return to the Philippines) thanked everyone who attended and contributed to the evening’s fundraising efforts. “Nakakataba ng puso. Maraming salamat sa inyong tulong, maliit man o malaki ang naibigay ninyo, malayo ang mapupuntahan nito para matulungan ang mga kababayan nating nangangailangan,” she said. After the New York and New Jersey leg of her trip, Megan flew to Los Angeles to attend another community fundraiser there. She will be visiting the eastern Visayas on November 28 and 29. “I see the Philippines as a beautiful place. Bad things happen once in a while but that doesn’t mean we can’t rise up from that, and I think that’s where our strength as a nation and as Filipinos come from, we’re able to unite and work together as one to bring that beauty back. And that will happen in the next couple of years,” Megan said. On October 23, Miss World 2013 Megan Young paid a courtesy call to Consul General Mario L. de Leon, Jr. at the Philippine Center here in New York. She was accompanied by Steve Douglas, events director of Miss World and met with consulate officials before meeting the local media. “What we want to do coming to the US is to bring together the Filipino community and show them what we’re doing and to get them involved. Itong pagkapanalo ko, hindi lang ito para sa akin. As cliché as it may sound, para sa Pilipinas talaga ito. It’s not just about winning, it’s about what you can do in a year. For me, it’s getting the Filipinos together. Why not let people know what Miss World is doing and get the community involved as well and that’s what we’re hoping to do this year,” Megan said, eliciting applause from people who joined the briefing. Julia Morley, chairman and CEO of Miss World, will be announcing shortly what they have decided during their earlier meeting. “We had initial talks and we will announce that as soon as we finalize it. We have a Miss World, born in the US but every inch a Filipina. She is representing the best of the Filipino,” Consul General de Leon said. While no other details were given, Douglas said that there will very shortly be an opportunity for the community here to get behind Megan and get behind these projects and to have a celebration as well. “What better thing to celebrate than the brand new Miss World, the first Filipina Miss World,” he said. 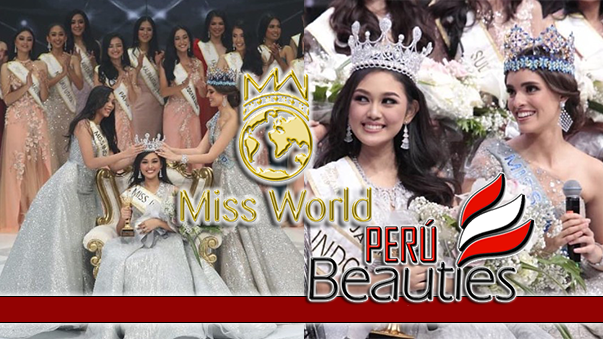 “Miss World is more than just a beauty pageant. It is a platform for young women to make a difference. This year, Megan will travel to 40 countries and she will make a huge difference in the world. She will be making that real difference. Every now and then, you get a fantastic Miss World who is able to translate that into something even more special and I think that’s what we’re going to find this year,” Douglas said. The projects Megan mentioned include Tuloy Foundation, based in Alabang and headed by Father Rocky Evangelista, who started the foundation years ago with only 12 children from the streets. The group now has over 900 children in their compound. They’ve built a gymnasium and a church and they’ve been schooling these children, aside from housing 200 to 300 children. Megan echoed what Father Rocky has told her: You can give these children material things but at the end of the day, they can get that elsewhere. The number one thing you can give them is your time, and they learn to cherish that. “What he hopes to bring back to these kids is their dignity and appreciation of themselves. We want to bring that to the table and show the Filipino community what he has done,” Megan explained. The other charity they are supporting in the Philippines the Philippine General Hospital. “Hopefully, we will be able to put up a center for kids who have been staying in the hospital for a long period of time na hindi na nakakapag-aral,” she said. Aside from that, they are also hoping to raise money for ventilators for little babies because the hospital only has five and they need so much more. One ventilator costs about P800,000. As Miss World, Megan will be visiting various countries during her one-year reign. Her first stop is Haiti, which she will be visiting by the end of the month. “We will be there for a couple of days. It is a five-year project [Miss World has] with Haiti. They drill holes there for their water. Pagkakuha pa lang nila ng tubig nila, contaminated na. They thought of a plan where they can get water and they have buckets with filters in them and they’re raising money for that. It’s $35 a bucket and there are Haitians who make the buckets so the money stays with them. At least alam nila na malinis yung tubig nila from these buckets with filters,” Megan said. Asked about the kind of legacy she plans to make as the first Filipina in Miss World’s roster of winners, she remarked that her reign will include all community efforts to help the causes she considers as priority. “The legacy that I really want to leave is to make a mark with the Filipino community, na nakatulong sila, na hindi lang ako ang nakagawa. That I was able to bring the Filipino communities not just in the Philippines but also here and in other parts of the world as well. Mapagsama-sama ang mga Pilipino para sa isang mabuting gawa. To get people informed on how they can actually help, hindi lang puro salita pero sa gawa na rin,” she explained. 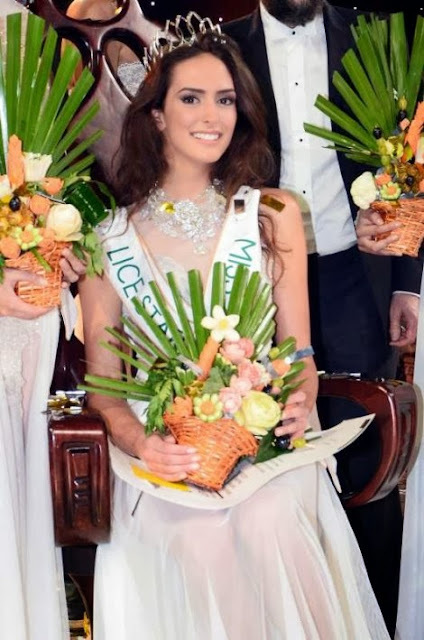 Megan won the crown in Bali last September 28, besting 126 other candidates. It has only been three weeks but she feels it has been longer. “Steve was telling me that I’ve only been crowned for three weeks and I couldn’t believe it because it actually has felt like two months. It’s a whirlwind thing for me. Once I see Haiti and how it is there and the other countries we will visit, that’s when my life will start to change, my views will begin to change. I can’t wait to see how Megan is after this year,” Megan said. “When they asked me what I really wanted to do this year, I told them that I wanted to get the Filipinos together in helping me with my cause in Miss World and that’s what I want to achieve,” Megan added. Asian Journal had a chance to interview Megan back in 2009 in Manila to promote the upcoming Star Magic shows in California and New York. Back then (and even earlier), she has been prodded to join beauty pageants. She declined and focused on her career as an actress. “When you’re 19 years old, you don’t really know what you want in life. You don’t know which path to take. I didn’t feel that I was mature enough to take that leap. I didn’t think I’d be able to handle myself, I was dependent on people around me,” she said. Things changed when she turned 23 this year. “When I turned 23, I came to the realization that I was ready. I had a gut feeling that maybe even if 13 could be an unlucky number for some people, it felt very lucky for me. I just felt good about it and when you feel good about something, go for it. That’s what I did,” Megan added. “I am here to enjoy the moment and enjoy it with the Filipinos. Sama-sama tayong lahat sa journey ko na ito,” she said.